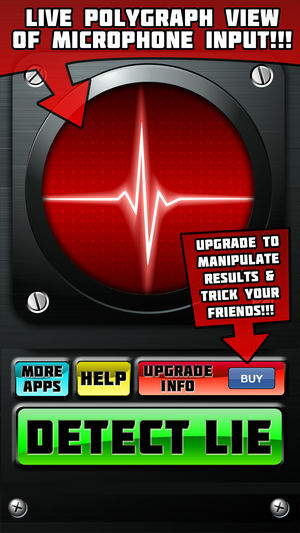 This app is intended for entertainment purposes only and does not provide true polygraph functionality. Find the TRUE answer to any question you ask of friends, parents, girlfriends, boyfriends, teachers! 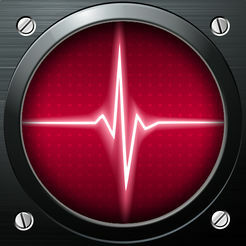 Lie Detector Polygraph with TruthWave™ visual technology has never been so accessible and affordable! Ultra-cool polygraph TruthWave™ data is displayed live while you conduct your interrogation and it looks awesome! Impress and intimidate your friends with this super slick and useful app! Upgrade to manipulate the results and play jokes on your friends. Trust us it’s funny!